We had the pleasure of making our annual trip to Bordeaux to try the 2014s last week and we were pleasantly surprised by the quality of many of the red wines. In our view, it is a very good vintage, certainly the best since 2010, and if priced correctly could be a vintage to buy now for future drinking. 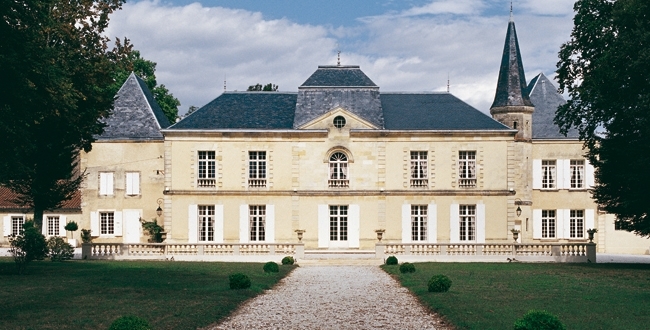 However, if the wines are priced too highly by the chateaux, there will be no reason to buy them now as comparable vintages which are nearing their drinking windows (such as 2008 and 2006) are still available on the market. The 2014s must be priced below the current market values of these wines to show value. Alas, we won't know this until the wines are released so in the meantime, we thought we would give you a picture of the vintage to help you make your buying decisions when the time comes. Overall assessments on the quality level of a Bordeaux vintage are helpful in extreme vintages like 2005 or 2009 (which were great) or like 2013 (which was not very good at all except for the very top wines), but vintages like 2014 are harder to judge as a whole as the quality is less homogeneous. There were undoubtedly some very good wines (our favourite and best value wines are listed below) where the fruit, acid and tannin were all in balance and they will make for fantastic drinking in the medium to long term. However, there were also some wines which lacked ripeness and therefore had too much acid and tannin, making them harder to taste now and harder to enjoy in the future. As a rough guide, the quality of the vintage as a whole is similar to 2001, 2006 and 2008 (which were better than 2002 or 2013 but not as good as the excellent 2005, 2009 and 2010). We tend to describe vintage quality in terms of the red wines as the vast majority of Bordeaux we sell en primeur is red. However, it is worth noting that the dry whites in 2014 are excellent, combining lovely, ripe Sauvignon Blanc/Semillon fruit with mouth-watering acidity. We didn't try a bad wine. The vintage for Sauternes was also successful. It has not hit the quality heights of the stupendous 2001 but it is a very good vintage which displays ripe, sweet fruit with balancing acidity and some botrytis in the best wines giving them a certain level of complexity only found in the better vintages. 2014 was a very trying vintage for the vigneron as it was cooler than usual in July and August, when it was meant to be warm, and warm in September and October, when it was meant to be cooler. This extended the ripening period and allowed for the grapes from the successful vineyards to ripen physiologically and phenolically, giving good potential alcohol levels, balanced yet refreshing acidity levels, mature tannins and ripe fruit flavours. These grapes have made some very good wines indeed. However, some vineyards failed to ripen the grapes enough to make a totally balanced wine and the acidity and tannins really stood out when we tasted them last week. As a rule, Cabernet Sauvignon and Cabernet Franc fared better than Merlot as they benefited more from the extended growing season though as above, it is hard to make a general judgment as some Merlot-based wines were excellent. The first wines are being released as we write this so please do let us know at your earliest convenience if there are any wines in which you are particularly interested so we can notify you immediately of its release. We expect the campaign to start properly in the next few weeks and carry through to May/June. Why buy En Primeur from Ditton Wine Traders? As always, we will offer the wines as and when they are released by the chateaux and will give our best, honest advice on whether they present good value or not. We are hoping the chateaux see this vintage as an opportunity to bring back their core buyers and as a result, we are hoping for some fair prices. Watch this space. Finally, buying En Primeur from Ditton Wine Traders ensures that you pay the correct price: we will match the best price on the market (compared to reliable, comparable merchants). In the meantime, please let us know if you have any questions and we look forward to a successful Bordeaux primeur campaign.